Edge-on disk at tertiary star in triple system, 4.1 arcsec from LkHa 263A. Discovery of an edge-on disk in the MBM 12 young association. Adaptive Optics imaging of the MBM 12 association. 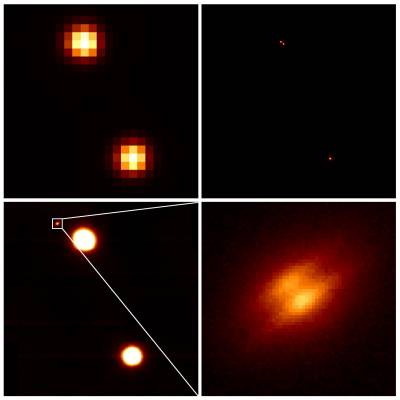 Seven binaries and an edge-on disk in a quadruple system. Created by Caer McCabe. Redesigned by Isabelle H. Jansen. Maintained by Karl Stapelfeldt. Last updated December 24, 2018.